I want to thank you for creating a wonderful learning program. You understand how to teach Chinese to non-native speakers, using clear pronunciation, repetition, opportunity to practice, thematic materials, and a useful vocabulary required for conversation. After having many teachers, I appreciate the knowledge of the material as well as the knowledge of the learning process that you bring to Chinese study. I look forward to each new lesson. Thank you so much for offering your course. Serge Melnyk’s Mandarin Chinese is the ideal learning platform for anyone with an interest in Chinese. It is so much better than courses costing substantially more. If you email a question, it will be answered pretty promptly. Lessons are grouped by topic, so you can specifically prep yourself for, say, a trip to the post office or the doctor. Serge brings in just the right level of cultural highlights to add to each lesson. I’m especially impressed with Serge’s approach to tones and pronunciation. Combining audio and pdf versions of each lesson was the perfect method for me. crafted lessons are great to keep up the motivation and the feeling of progress every day. And theres really no better way for wiring spoken Chinese in my brain then with Your nuanced and thoughtful teaching. Taking online lessons with Serge has been great. The best thing is that he can answer immediately all of those finer points about Chinese grammar and syntax and usage that seem to make sense in English but don’t in Chinese. I’ve saved a lot of time simply by asking Serge these questions online, and having him critique my accent, too, as we work through dialogues and talk informally. They’re definitely worth the money! I just want to vent my appreciation for your course. 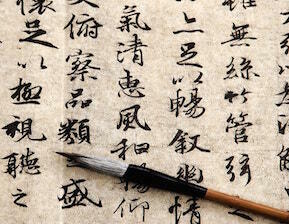 I’ve been learning Mandarin for about 3 years; I started out with Pimsleur, which I found to be a good introduction, but sparse in relation to grammatical explanation. I think a lot of people probably have a problem with where to go after Pimsleur – I tried Rosettastone, which I only found good for learning and retaining vocabulary; I also flirted with Chinesepod, but found their ‘sexed-up’ trendy approach off-putting. In my opinion your approach and method is the best, and I’ll be staying with you for as long as you continue to put out lessons. I’m am just completing lesson 55 and I wanted to say its been an absolute pleasure to learn Chinese using your lessons. I really appreciate the thought you put into them. If I’m being honest, there are times when I look at the subject of the lesson and think “I don’t need to learn that” but I do the lesson anyways. There has NOT been one time that I didn’t learn something that I can use everyday, whether it be new useful vocabulary or some interesting sentence structure. I am now surprising my Chinese Fiancee, her friends and her family on a daily basis with my knowledge of Mandarin. Previous to finding your lessons I tried Pimsleur, Rosetta Stone, Instant Immersion, and Chinese Pod and none of them were right for me. Your lesson structure and progression is a perfect fit. Anyone serious about learning Mandarin needs to strongly consider your lessons. I feel very prepared for my trip back to China for Chinese New Year. I can’t thank you enough, I will be renewing my subscription very soon. Serge Melnyk is not simply a person who speaks Mandarin and teaches; he is a well trained and experienced teacher of Mandarin and it shows! His podcasts are clear and extremely helpful. I listen to them on my powerwalk each day, then I listen again with the downloaded notes in front of me later in the day. At the end of each week I do the downloaded worksheet which helps with written Pinyin skills while reinforcing what has already been learned. In addition to this, I take private lessons from Serge via Skype. He tailor-makes the sessions to match my needs and sends me summary sheet of our last lesson prior to the next one. Not having the time to travel to a teacher, this is the perfect program for me. Even if I did have the driving time, I’d stick with Serge. The price is extremely reasonable. It is clear that he wants me to be successful in my Mandarin studies. Finally, Serge has the patience of Mother Theresa even though I don’t! I just wanted to thank you for your wonderful Chinese lessons, which I recently stumbled across on itunes. I think they’re fantastic because you really break down the pronunciation of the words, and you teach such useful expressions and give relevant cultural insights. I am really enjoying listening, and I’m learning a lot. Thanks again! I started studying “on my own” with the help of your audio lessons and transcripts. I am now living in HK and as a result of your help and getting a rather good handle on Mandarin, have been able to interview using Mandarin for my last two business Jet jobs, not to mention all of the friends and relationships that couldn’t have happened without the language foundation. Can’t begin to tell you how gratifying it has been to dive into the culture of China, Taiwan and HK and your language program gave me the floatation device to begin swimming. My daughter who is now 6 has grown up bilingual too. I’ve since suggested to dozens of people who are interested in learning Mandarin to check out your program! has as of late “skyrocketed.” Thanks a ton!!! I’ve downloaded your podcasts from iTunes and I’ve been through the first three lessons and I just want to say that they are extremely well done and helpful. I really believe that I can learn Mandarin using your Podcasts and downloading the PDFs from this site. I’ve got to tell you, I’ve owned a business in Beijing for about 6 years and have tried a 1/2 dozen different language programs in that time. I’ve made more progress in one month with your podcasts than all the rest combined. The podcast is remarkably well thought out and gives me a usable vocabulary. I wanted to thank you sincerely for your Mandarin podcast. I had tried to learn using the Berlitz method but the way you teach the vocabulary iteratively and repeat certain words and phrases are very helpful. Dave Goldman. Owner/Consultant, SimpleSolutions Corp. I have been studying Mandarin since 2004. I own several books and CD programs. I think your approach is so effective and efficient. I listen to your podcasts on the way to work every morning. I’ve learnt more with your podcast than any other method. My name is Anne from Western France. I just want to thank you for your wonderful on-line lessons. They are very helpful, because they deal with everyday vocabulary you can’t find in books. You are a wonderful teacher. Thanks once again for the truly outstanding Chinese Lessons. What a wonderful public service you are offering. At 28 lessons they constitute quite a solid body of work. I just want you to know some people really appreciate all your trouble and hard work doing this. The Lessons are interesting and enjoyable, too. I worked in China for about three years (88, 89, 90) and could have really used these lessons then. Serge,Thank you so much for your lessons. This is really the way to learn Mandarin. I’ve been a foreign student in the universities and had private tutors but have not been as satisfied with those teaching methods as your course. This is really a wonderful program and well appreciated. I heard about your program on the Chinese Forums. Just like to thank you for your great podcasts. I wish I had known about these earlier. Just a quick thank you for this wonderful course. I have tried the first few lessons, and the way that you have presented them has been great. Thank you very much for taking the time and effort to do this podcast. I’ve been using your podcasts regularly for the past year and I just wanted to thank you for the fantastic job you’ve done! They’ve helped me a lot – even when I’m not actively studying I sometimes play them in the background and that helps me revise. You have become my personal hero. I am a beginner-to-intermediate Chinese speaker, and I want to tell you that thanks to you I can learn many new words and sentences.I really don’t know how to express my gratitude towards you. I sincerely thank you for this great tool and I hope you will continue teaching us! I just wanted to say thank you very much for offering your lessons online. I used to live in Taiwan, but now live in the US and was looking for a refresher course and your lessons make each day very exciting! Thank you so much. I appreciate the time and effort you put into all the lessons and your website. I want to thank you for the fantastic lessons. I have found them very helpful and easy to follow. My girlfriend who is Chinese is also very grateful. Thank you for your lessons. They are great. I recently just left you a review (I’m the Irish Potato guy) and just wanted to say I learn best by listening. But if you put a donation button on your website, I would beglad to support what you are doing. I again just wanted to say thank you for your teaching. It has to be the best method. I am a mandarin teacher in Singapore and I recommended your podcast to my students and they really love it. As a native Chinese speaker, I am so so impressed by the accuracy and purity of your pronunciation. I just wanted to thank you for your lessons in Mandarin Chinese. The only other language I’ve taken was Spanish in High School and College. I never thought that I could enjoy learning another language especially Chinese! It is complicated and takes a while to get down but it is worth it.Thanks so much for providing this podcast. Your pronunciation and well thought out lessons are great. podcasts each day, once on my ride to work and once on my ride back home. this point, but they are still wonderful. Thanks for your lessons. I’ve subscribed for a while and I am just going slowly, and am up to Lesson 15. On my iPhone I noticed I can change Siri to Mandarin, while still using English for the phone itself. So now I am able to ask about the weather, to make phone calls, ask her to play my music – in Mandarin. Although I can’t seem to get her to send a text message…. Yet. It’s really encouraging! I’ve also made friends in China, and communicate with Skype, and I’m complimented on my pronunciation, quite often. So, thanks again! I am really enjoying the course.